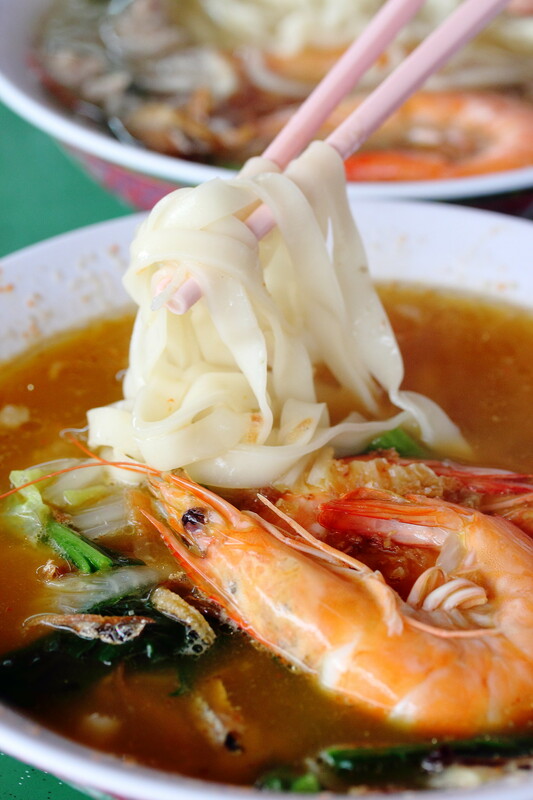 Moving to the West has given me the opportunity to discover many delicious food in the area. 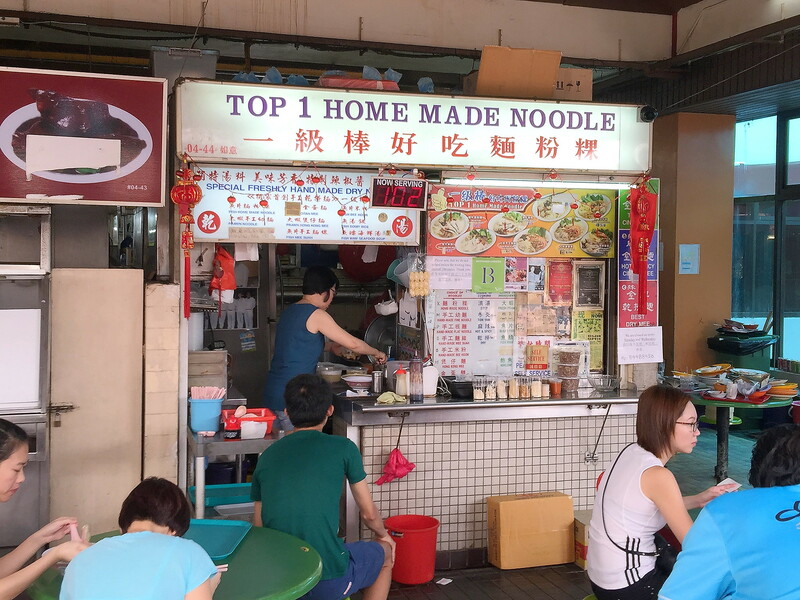 My friend, Amanda Tan has recommended me Top 1 Home Made Noodle at Beauty World Food Centre for the longest time but I only manage to find time recently to visit the stall. The stall is extremely busy during my visit, I have to wait for a good half an hour for my order. The stall has adopted the use of a queuing system, just like in the hospital or clinic. 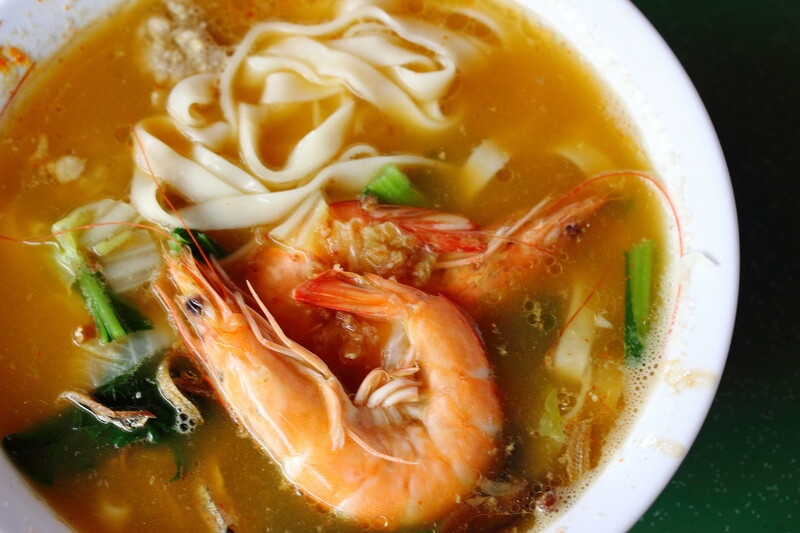 First I had the Homemade Yu Mian Soup with Big Prawns ($6). I took a sip of the soup first and was hit by a rich and intense bowl of flavourful soup base. 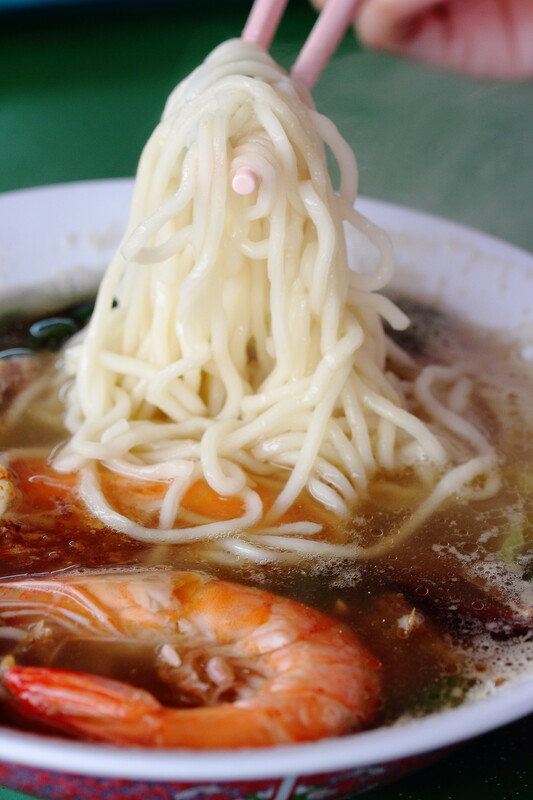 The home made noodle was also cooked to a nice bite. It is really a bowl of slurping goodness. 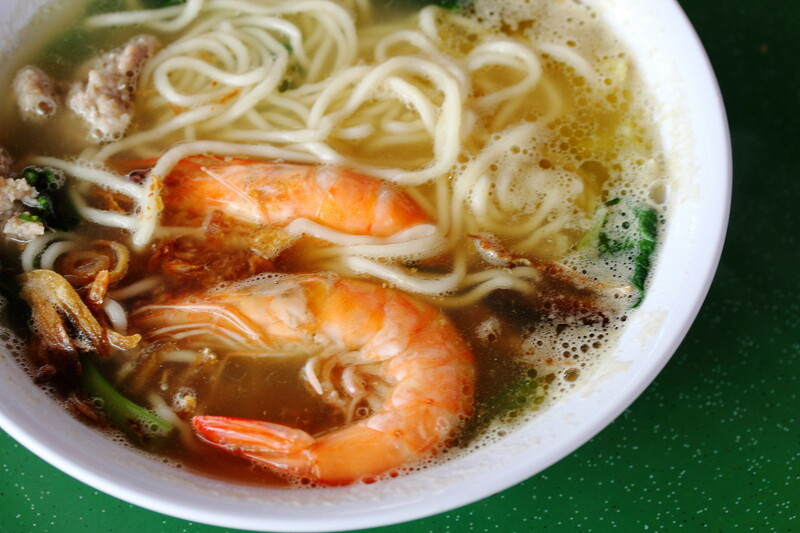 Besides the big prawns, the bowl of noodles also comes with minced pork, mushroom, ikan bilis and vegetables. Highly recommend by my friend is the Spicy Mala Ban Mian with Big Prawn ($6). I am not sure what is the concoction of the chilli sauce, but it definitely packs a punch and made me break into a sweat. If you are up to the spicy challenge, this is a best try. Compared to the you main, I like the ban main more for its wider base of textural enjoyment. It also seems to hold itself better in the soup base, soft but still retain a bite to it. I am glad that there is a good bowl of ban mian near my place. During my visit, I noticed a lot of people ordering the dry version tossed in a black sauce. It really seems quite delicious. I definitely will be back to check that out. Haven't been there for a long time. What else is nice there? I try Han Bao Bao, not all is good but I like the Ayam Bulak burger. The satay beehoon and the char kway teow looks good too but I have not tried it. Definitely, we shall plan a west side food trail. Is it, you know what is the stall number?